Take a walk on the wild side at the Wild Walk! 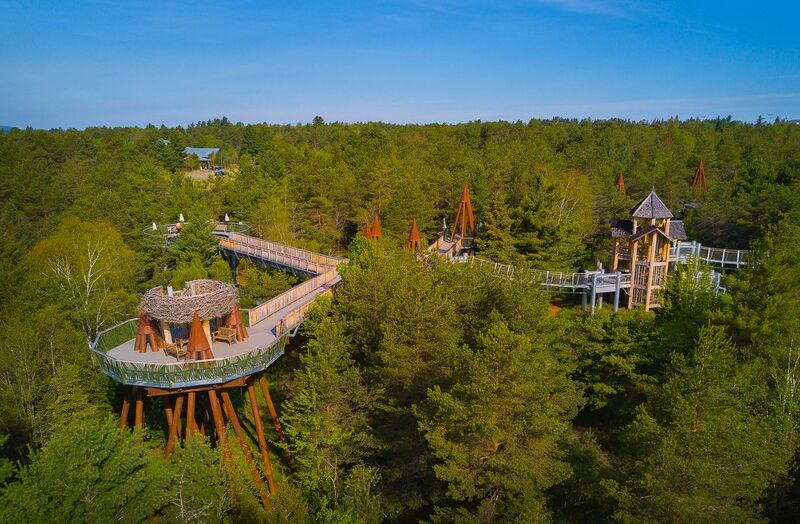 This treetop adventure, located at The Wild Center in the Adirondack forest, is a quarter mile network of walkways high among the trees. Designed to give visitors an appreciation of the natural world by transforming the forest into a living, breathing, learning landscape, you’ll be delighted with experiences including a four-story twig tree house, swinging bridges, a human-sized spider’s web where people can hang out, and a massive bald eagle’s nest. Elevate your visit to New York’s Adirondacks, the biggest natural park in the lower 48 states, from on high at Wild Walk!